Sidenote: Is it just me or does August go by faster than other months? I feel like one minute it was a gorgeous, hot summer day, I blink, and suddenly I can feel fall in my bones (not complaining! I LOVE fall). It’s just odd how quickly it swings in. That said, harvest season is upon us! I’m seeing ripe tomatoes, artichokes, and peppers! The recipe I’m sharing with you takes advantage of some delicious seasonal veggies, though I’m pretty sure it would make a great dead-of-winter meal as well! Check out the full recipe after the jump. If using chorizo, lay it in a very large (10-12 inch) skillet and set over medium heat. Cook, stirring regularly and breaking up clumps, until cooked through (approximately 4 minutes). If the chorizo lets out a lot of fat, drain until you have just enough to cover the pan. If the chorizo does not leave a lot fat (or you aren’t using chorizo), add olive oil to the pan. Add the onion and cook until softened; Add mushrooms and cook about 2 minutes, until they start to brown. During the cooking of the veggies, start the sauce. Pour the tomatoes into a blender or food processor, and add the chipotle chile and its sauce. Process until smooth. When the mushrooms are ready, add the sauce to the pan and cook until it has the thickness of a tomato sauce. 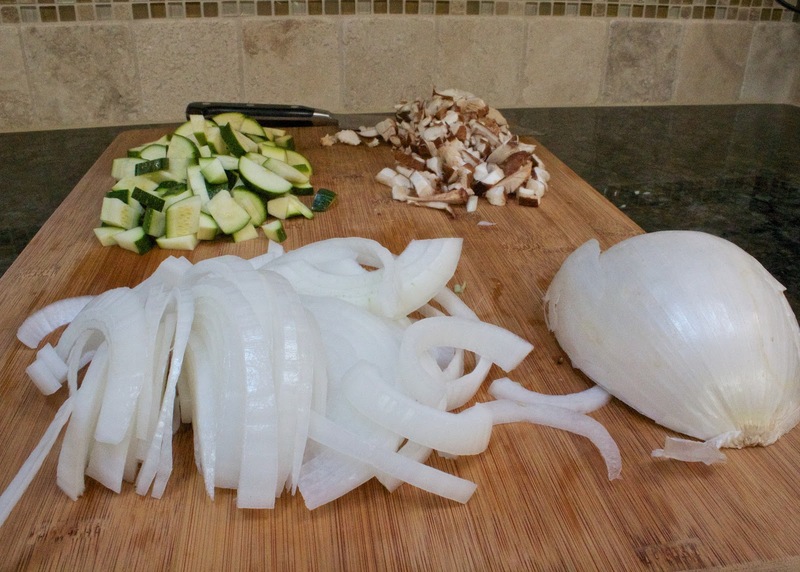 Once you reach this point, add the zucchini and cook until the zucchini has just a slight crispness left (stirring occasionally), approximately 8-10 minutes. Add salt to taste. 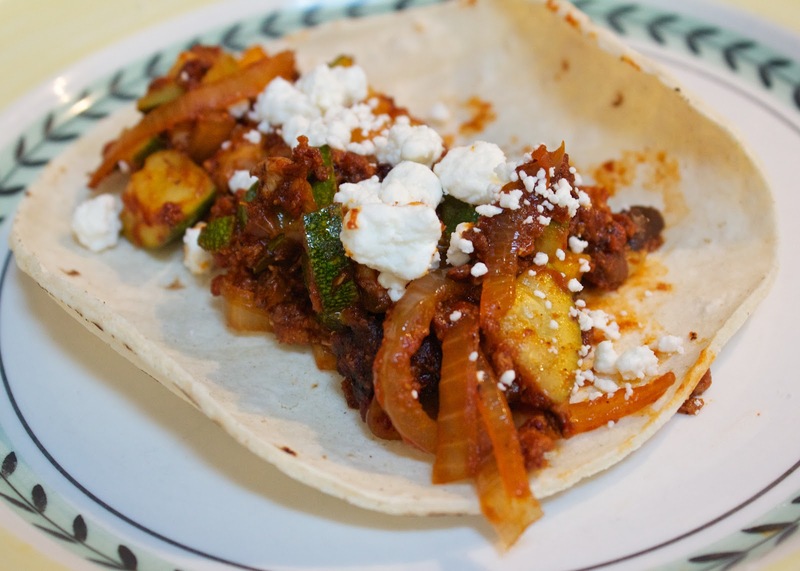 Fill your warm tortillas with hot veggies and dress liberally with cheese. Serve with hot sauce for those that enjoy a little more kick! Surprise! A rendition of this sauce is actually used in the chipotle meatballs I’ll be posting later this week–stay tuned! I liked this very much, but thought it rather overwhelmed the zucchini. I think it might do better something like potatoes or turnips. Do I tried it with green chorizo. It was quite lovely. Would make a great pasta dish too. I’m going to live checking out your spicy delights. Thanks!